Sometimes the most universal truths can be found in the smallest slices of life. That’s what makes independent documentaries so powerful, engaging, and entertaining. Not only do they show you little worlds to which you’ve never had access, but they oftentimes also tell the larger story of what it means to be human.Armed with this intellectual conceit, a bag of Funyuns, and a couple of Miller beers, I curl up in front of the TV and delve deep into the bowels of Netflix Documentaries to find out a little bit more about all of us. Today I found 2007’s Please Vote for Me directed by Weijun Chen. Please Vote for Me asks two fundamental questions. 1) Is democracy a universal value that suits human nature? 2) Do elections inevitably lead to manipulation? This documentary was part of a project called Why Democracy, which asked a number of directors to interpret the concept of Democracy. Chinese director Weijun Chen took this idea as a challenge, especially since democracy is not an issue that can be widely discussed in Communist China. What Weijun Chen did was find a local school, Evergreen Primary School, in Wuhan, China (a city in central China which has about the same population as London) and convince the administration and staff to participate in an experiment. The experiment consisted of having a third grade class hold an election for the coveted office of Class Monitor. 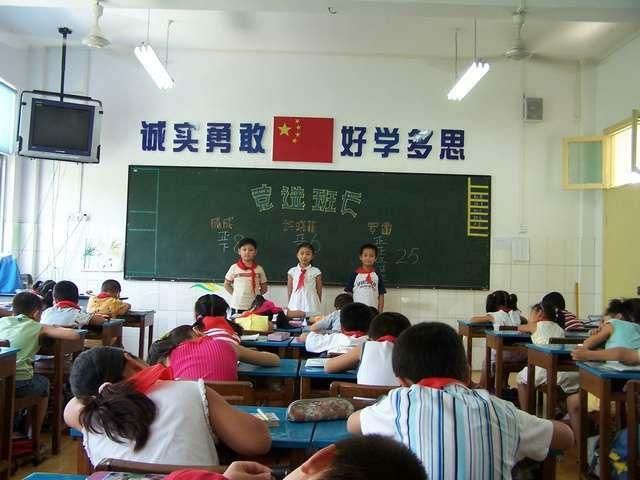 Of the whole class of eight-year-olds, the teachers chose two boys, Cheng Cheng and Luo Lei, and one girl, Xu Xaiofei to run for the position. They were instructed to campaign, hold debates, and garner votes through whatever means they could conceive. In the absence of any role models for what a campaign even looked like, the children turned towards their own competitive natures, and also turned to the competitive natures of their parents. As you might expect, things got ugly quickly. The politicking gets negative within moments of the experiment’s inception. The kids viciously go after each other’s insecurities, character flaws, and personalities, all the time coached and encouraged by their parents. By using eight-year-olds in this experiment, the director is showing us what could be thought of as an uncorrupted view of human nature. These kids go all Lord of the Flies within moments and cause enormous disruption in the classroom and their own psyches. This speaks to an ugly side to the democratic process that seems ingrained to a great degree in human nature, and, in a way, helps us to understand a little better the fecund vitriol that spews out constantly from our elected officials and pundits and wonks. With the freedom to choose comes competition, and with the advent of competition, our baser instincts seem to be set free. 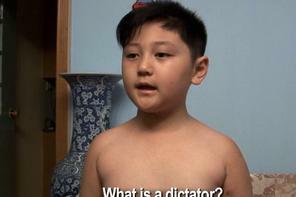 The film is also a great slice of life documentary, giving the viewer insight into life in modern urban China. This is the China that is becoming an economic juggernaut, and it is also the China that is not often presented in the mass media. These are middle class people living middle class lives, and even though it is half way around the world, it could be right down the street. 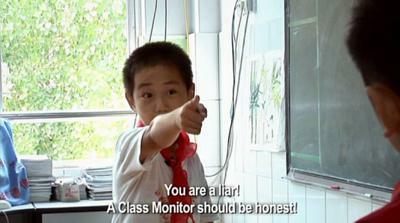 While there are certainly moments in the documentary that focus on how the students are brought together to honor the Communist system as it currently exists in China, the scenes are more reminiscent of patriotic American school kids reciting the Pledge of Allegiance more than any “brainwashing” indoctrination. As I said, these are middle class kids from middle class families. While the “democratization” of the classroom is the main focus of the documentary, one of the incidental highlights of the film is an exploration of the implications of China’s population control policy of One-Child (implemented in 1979). This policy mandated that urban couples could only have one child and any more children would incur fines for the family and a denial of education and medical services for the additional children. The policy has been often criticized for creating an entire generation of “little emperors,” so called due to these children being the sole focus of their parents energy, attention, and expectations. As with many Western children who are only children in families, they can end up being entitled, spoiled, and socially maladjusted. Please Vote for Me provides insight into this problem and reveals it to be more true than one might think. The interactions between the children and their parents are some of the best moments in this film. So, in answer to the question “Is democracy a universal value that suits human nature?”, the film seems to be saying no. In answer to the question, “Do elections inevitably lead to manipulation?”, the film seems to be saying yes. As America continues its seemingly endless quest to democratize the planet, perhaps this film might provide a counterpoint to this ideal that we, as Americans, hold so dear. Will the world be a better place if there was a form of participatory government in every nook and cranny? Maybe not. Are human beings capable of living in a pure democratic world? 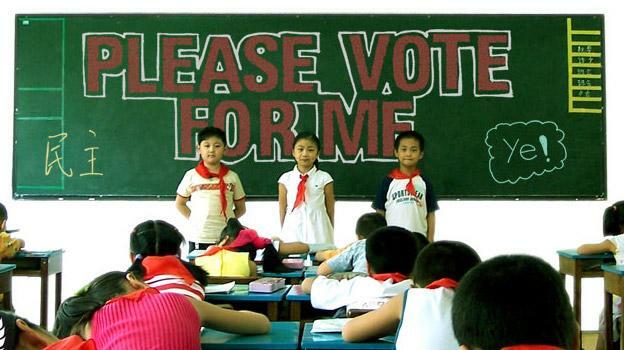 A film like Please Vote for Me may contain the answer. CHOICE - Renata Salecl is a Chicken Enemy.